Forbes has released its 33rd Annual World's Billionaires list, which features a total of 2,153 billionaires this year—dropping from last year's list of 2,208 billionaires. Asia-Pacific was reportedly hit the hardest, with 60 names dropping off the list. However, the region still remains the richest, with a net worth of US$2.5 trillion between its 767 billionaires. China boasts the highest number of 324 billionaires, as well as the highest number of newcomers this year. In Singapore itself, 22 of the country's wealthiest made the list, from property developers to hoteliers. Ranking at #112 amongst the richest people in the world, Robert and Philip Ng are the sons of late real-estate tycoon Ng Teng Fong, who founded Far East Organisation—Singapore’s largest private property developer. The brothers work in Hong Kong and Singapore respectively, with elder brother and former barrister Robert overseeing Hong Kong arm Sino Group with his son Daryl, and Philip taking charge of local operations as CEO, with the aid of their siblings. A self-made billionaire, 91-year-old Goh Cheng Liang is the founder of Nippon Paint (Singapore), which he started in 1955 as the local distributor of Nippon Paint. His business would eventually become Singapore’s first paint manufacturing plant, and today, the man holds a 39 per cent stake in Nippon Paint Holdings in Japan. He is also a dedicated philanthropist, supporting education, medical research and community development initiatives through the Goh Foundation, which he founded in 1994. This includes a donation of S$50 million to the National Cancer Centre Singapore, and supporting several scholarship in local universities. Now based in Singapore, Zhang Yong is the founder of popular Sichuan hot pot chain Haidilao. The self-made billionaire opened his first restaurant back in 1994, in his hometown of Jianyang in Sichuan Province. Today, Haidilao has more than 300 outlets in China, the United States, Japan, South Korea and Singapore. The restaurant is known for its impeccable service, offering customers manicures and shoulder massages in the waiting line—a meticulous touch, especially when the long queues can take up to three hours. The restaurant chain went public in September last year. After retiring from the UOB Board in April 2018, 90-year-old Wee Cho Yaw is now the chairman emeritus of the bank, Singapore’s third-largest financial institution. Co-founded by his father Wee Kheng Chiang in 1935, the bank is now run by his son Wee Ee Chong as CEO. The Wee family also owns property development Kheng Leong, which acquired 45 apartments in The Nassim for US$290 million in 2017, as well as Haw Par, the manufacturer of the iconic Tiger Balm Chinese ointment. The sons of property developer Henry Kwee, the Kwee brothers—Kwee Liong Keng, Kwee Liong Tek, Kwee Liong Seen and Kwee Liong Phing—work together to oversee the privately held Pontiac Land Group. Eldest brother Liong Keng is managing director of the group, Liong Tek is chairman, while younger siblings Liong Seen and Liong Phing serve as directors on the board. The real estate group owns a portfolio of luxury hotels and prestigious office towers. This includes Regent Singapore, Ritz-Carlton Millenia, Conrad Centennial Singapore and The Capella Singapore, most famously known to be the site for the Trump-Kim summit in 2018. Kwek Leng Beng is the executive chairman of Hong Leong Group, which owns businesses in property development, hotels, financial services and trade & industry. Its property arm City Developments Limited (CDL)—Singapore’s second-largest developer—operates more than 150 hotels in over 20 countries. The 78-year-old has received numerous awards for his business acumen, such as the Global Blue Ocean Shift Award at the Global Entrepreneurship Community Summit and the Lifetime Achievement Award at the Asia Pacific Entrepreneurship Awards. He was also the recipient of the Diamond Award at Singapore Tatler Ball 2018. Father-son pair Raj Kumar and Kishin RK, who founded Royal Holdings and RB Capital Group respectively, share a net worth of US$2.8 billion between them. 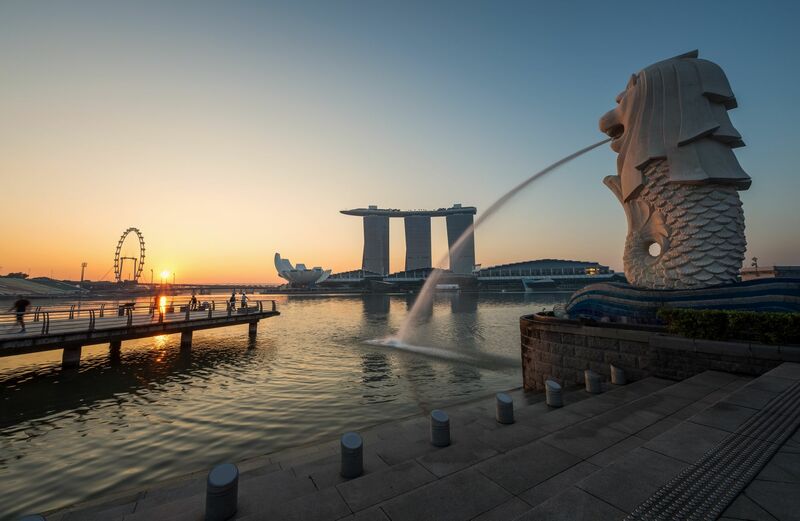 Their property empire, which includes the 442-room Holiday Inn Express at Clarke Quay and the five-star Intercontinental Singapore Robertson Quay puts them among Singapore’s leading landlords. The latter, especially, is part of RB Capital’s redevelopment project of the 120,000 sqft Quayside at Robertson Quay. The name RB is derived from the former Royal Brothers property group, which was split between Raj Kumar and his brother, Asok Kumar Hiranandani.